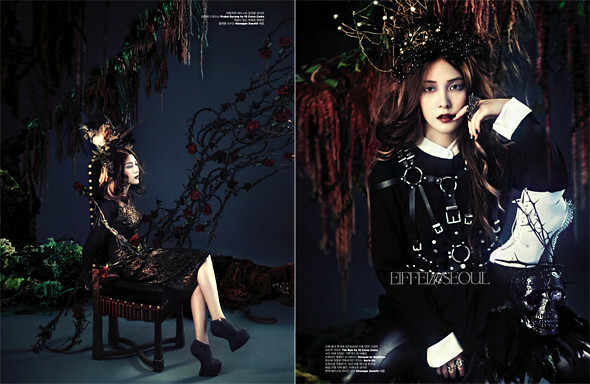 Photographed by Kim Je Won, South Korean pop-star, BoA Kwon (권보아) was selected to model for Giuseppe Zanotti shoes in October's issue of W Korea. Set in a gothic theme, she wore garments from Agent Provocateur, Azzedine Alaïa, Carven, Gareth Pugh, Nina Ricci, Prabal Gurung, The Row and more. Check out the stunning editorial entitled, Untamed.